Oh no, Walter needs a wee, although he has just fallen asleep some minutes ago! And just like our little ones, he still needs a little help and training with it. Luckily he always brings his chamber potty right with him, so there won‘t be any mishap. 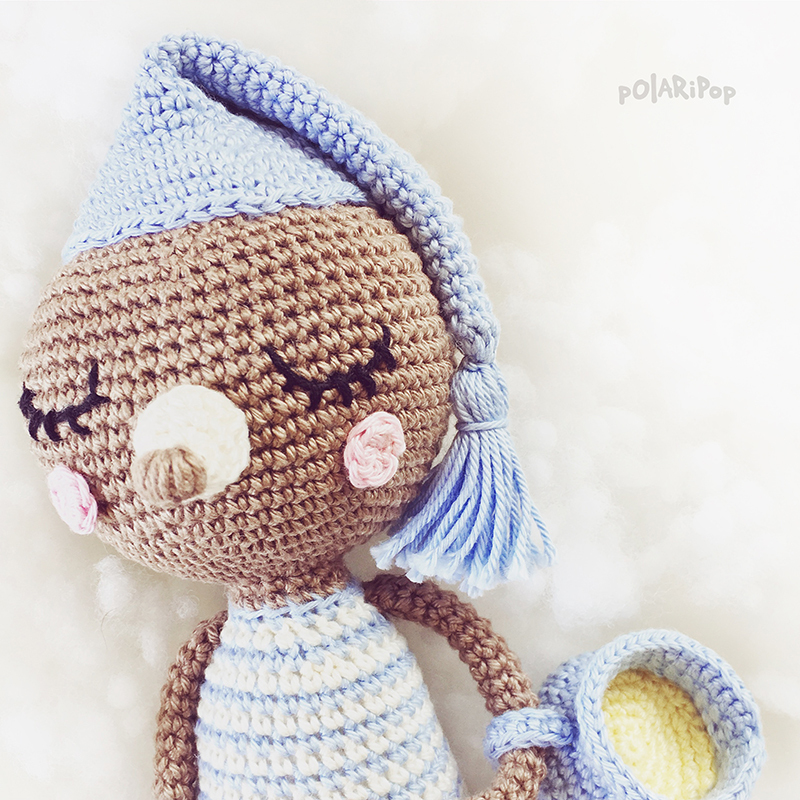 Who can resist this cute little sleepy guy? 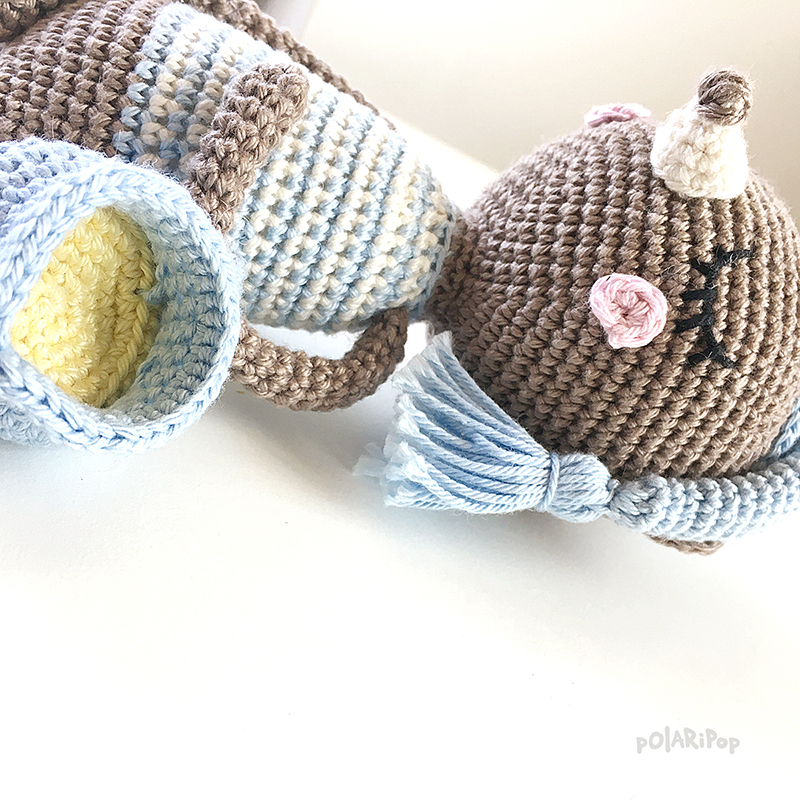 Crochet Walter and his potty for the kids in your family, or as a crochet gift for a friend who has a toddler just about to graduate from potty training. 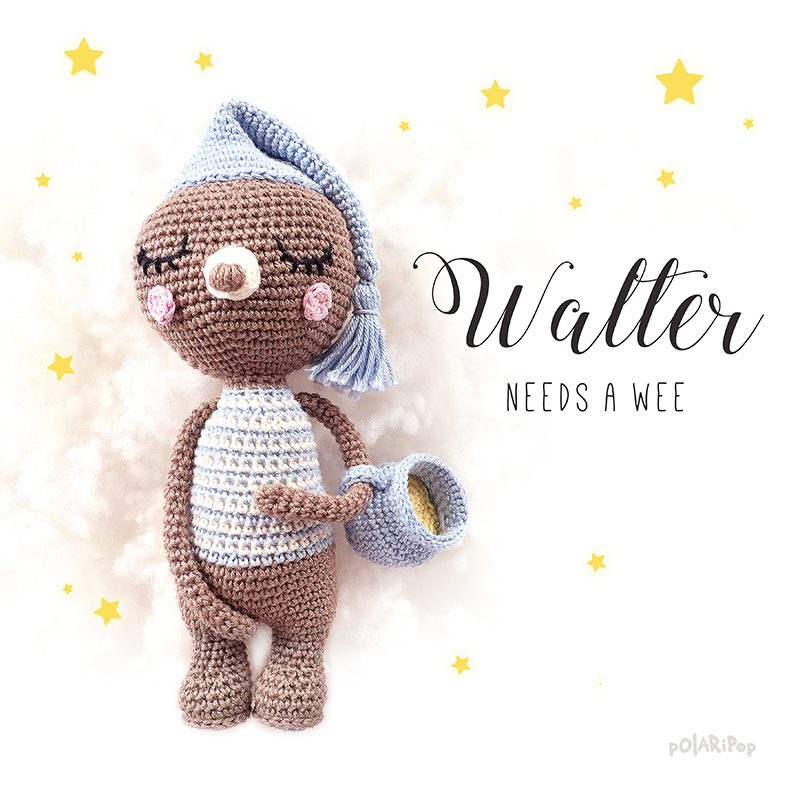 Polaripop wishes happy crocheting with Walter!